When a family member dies, the natural tendency is to withdraw inward as part of the grieving process. The person tasked with handling the deceased’s estate, called the personal representative, does not have the luxury of withdrawing. This person has a number of important and pressing duties that must be addressed in the immediate aftermath of the death so the deceased’s wishes are properly carried out. 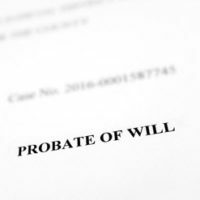 Essentially, a personal representative is in charge of overseeing the execution of another person’s will as part of the probate process, including properly opening and closing the estate. Given the large amount of responsibility laid on the shoulders of the personal representative, and the fact that almost anyone can be designated to assume this obligation, a number of key points should be understood before a person takes on this position. The first and perhaps most important issue to understand is being named as personal representative does not legally require the person accept this appointment. If grief or other issues are likely to get in the way of the fulfilling the necessary duties, or the person just does not feel comfortable, it is best to pass on the appointment. Most wills name at least one alternate person to serve as personal representative, so declining the appointment will not bring the entire process to a standstill. A court appointment is always an available fallback option to find someone if necessary. Note that while no legal penalty is incurred if the designated representative says no, serving as personal representative can entitle a person to a greater share of an inheritance under the terms of the will. Thus, declining the appointment could reduce a person’s share of the deceased’s estate. as determined by a judge. Finally, while it is the personal representative’s responsibility to maintain and preserve estate assets so value is not unnecessarily lost, this does not mean the personal representative must do all of the legwork connected with this duty. Florida law specifically authorizes personal representatives to employ professionals to assist him/her with administrative duties, and these professionals are typically paid from estate proceeds. Some examples of such professionals are: attorneys, appraisers, accountants, auditors and investment advisors. Securing an attorney is especially important for the personal representative since anyone serving in this capacity can be sued and held liable by the heirs if there is sufficient evidence the personal representative improperly executed his/her duties. If you are listed as a personal representative and have concerns about taking on this responsibility, talk to an attorney before making a decision. 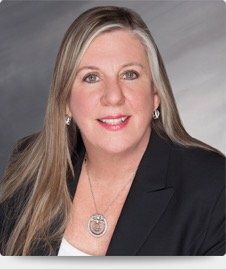 This is not an obligation to take lightly, and a probate attorney, like Joyce A. Julian, P.A., can advise you on the practical and legal implications of this position. If you live in the Fort Lauderdale area, contact the office of Joyce A. Julian to learn how she can help you.